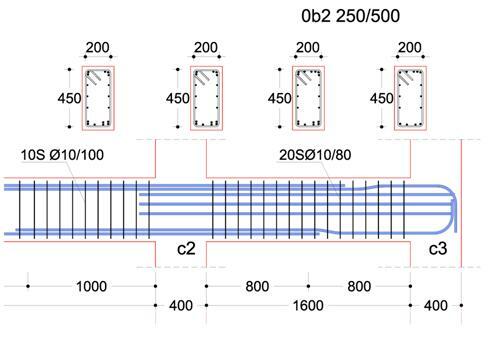 A beam which has a short span length compared to the span length of the other beams that belong to the same floor, might not have a serious bending problem but as a rule, its behavior is greatly affected by intense shear stresses. A part of the applied shear forces comes from the gravity loads, however, the largest part is caused by the earthquake ground motion. Apart from the intensity of the shear forces, the short beams must counteract the effects of these forces direction shifting in the duration of the seismic event. This means that we have cyclic shear loading that tends to disintegrate the element. In short beams, the diagonal tensile stresses are carried by placing a strong transverse reinforcement towards all directions i.e. by placing narrow spaced, properly closed stirrups and lateral rebars. Theoretically, the best solution is to use special “X” shaped stirrups, however most of the times, this is a technically challenging procedure. 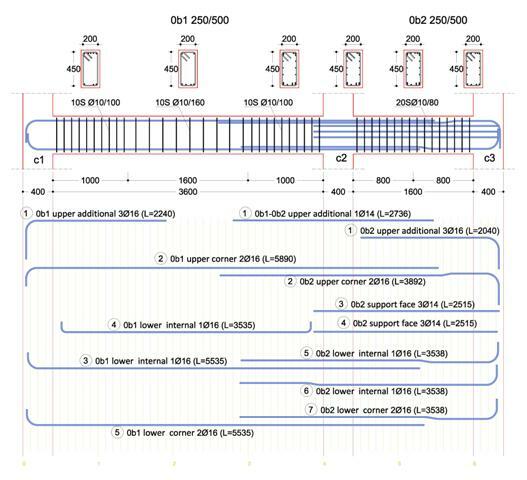 The right beam might be short compared to the left one but it has a larger amount of reinforcement (both longitudinal and vertical). 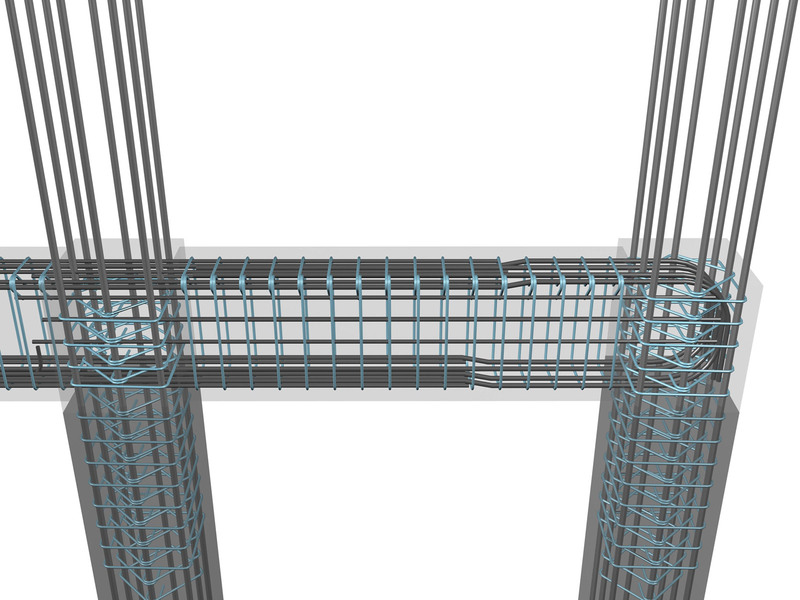 "project: beams30"
The short column is reinforced with (a) narrow spaced strong stirrups and (b) with lateral rebars.